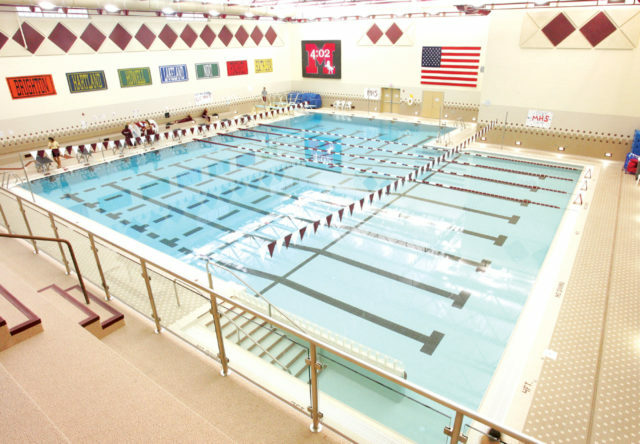 A collaborative design process with the students of Milford High School resulted in a unique natatorium and family aquatics center. 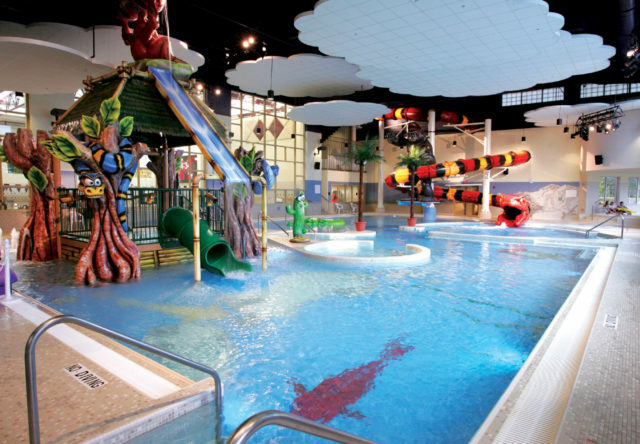 Fanning Howey invited a group of students from all grade levels to work side by side in creating their natatorium and aquatics center. 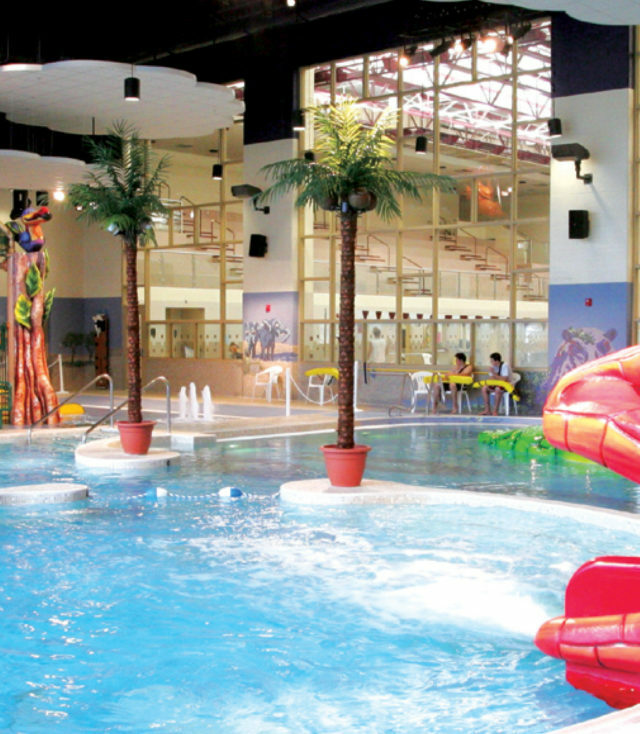 The effort provided a valuable learning experience for students, and resulted in a competition pool and family recreation pool for all ages. 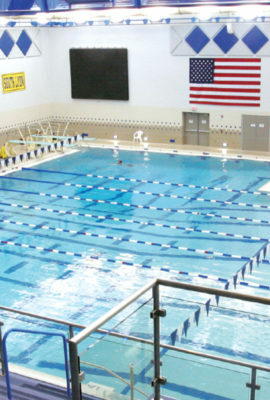 The 8-lane competition pool features a state-of-the-art filtration and air handling system with an attached diving well. 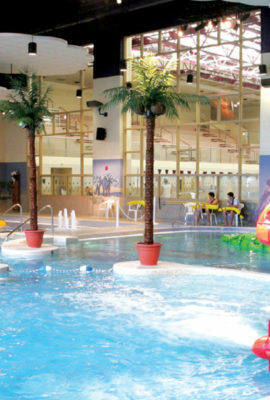 Student drawings and input led to the creation of a family pool with a water slide, dump buckets and a zero-depth entry. Student drawings and input led to the creation of a family pool with a water slide, dump buckets and a zero-depth entry. 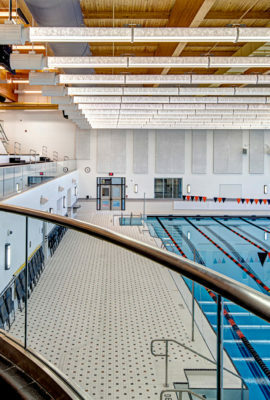 The 8-lane competition pool features a state-of-the-art filtration and air handling system. 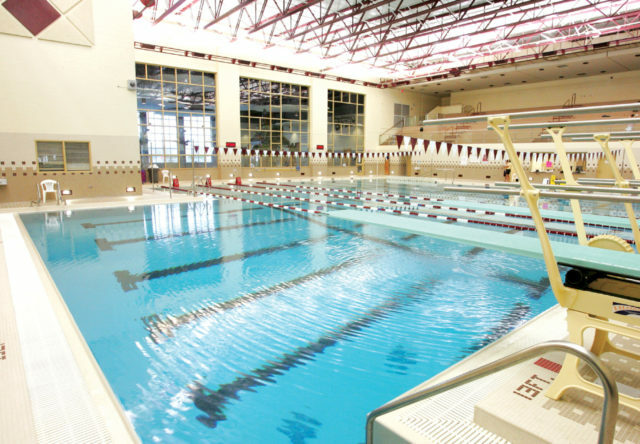 An attached diving well includes two diving boards and a depth of 13 feet. Fanning Howey provided a unique learning opportunity involving our students in creating the pools. 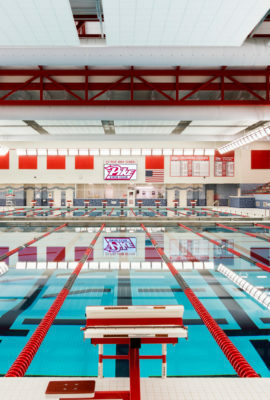 They invited a group of students from all grade levels to literally work with the Fanning Howey team to design the pools. It was great to see the architects working side by side with the children drawing animals and spaceships that eventually created the plans for the two recreation pools.